We have decided to up the ante and film and release daily time-lapse films of the skies over London. Time lapse serves as a great way of forcing doubters to accept the reality of the situation we find ourselves in. It is almost impossible to ignore time-lapse footage. Even the most hardened of sceptics or those who are simply too scared or lack sufficient reasoning skills shall we say to understand printed articles on this subject seem to get it. Clear, real-time images of our skies being filled with expanding trails from planes almost every day. You can argue with them until you are blue in the face about the facts but they will invent all sorts of nonsense to try to avoid having to accept it, but show them a few of these films and they go very quiet. See our new Vimeo channel here. 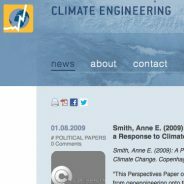 A recent study concluded that Climate Engineering would not stop atmospheric warming but simply change patterns of precipitation, increase ocean acidification and change ocean current patters. Now forgive us for stating the obvious but does that sound familiar to anyone? 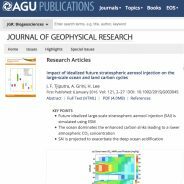 More and more studies are finding that the effects of Climate Engineering would produce exactly the same conditions that we are currently experiencing around the world. 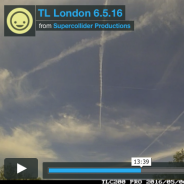 This short film is yet more incontrovertible proof that the spraying we see in our skies is not natural condensation.. Sadly many will still try to deny this and think of a suitable explanation so as not to have to confront this situation. 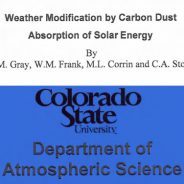 Please show this to any Climate Engineering deniers you may know. 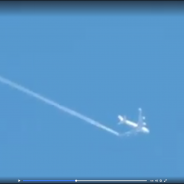 During a lecture at what looks like Cambridge University CERN particle physicist Jasper Kirkby openly discusses the ongoing use of manufactured aerosols sprayed from aircraft to create clouds. 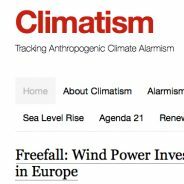 Just to remind all that a blog run by the Kiel Earth Institute lists research and events related to the burgeoning Climate Engineering industry. Calendar aside it is also a great place to point sceptics who say that this is just a theory. Hundreds of scientists around the world are involved in researching this so theory it is definitely not. The only debate that can reasonably be had is whether or not it is happening already and at what level. Obviously we feel it is and on a global level. As people stroll along on warm days thinking it is sunny the reality above their heads – a near white-out caused by expanding, induced, contrails – is invisible to them until you stop them and point it out. Try this little experiment and see what happens. This forum is about Climate Engineering. Climate Engineering is essentially a Poli-Comm movement that wants to spray chemicals into our skies, block our sunshine and thereby contaminate our air. We do not have the knowledge and time to delve deeply into the Global Warming – re-branded Climate Change – Hoax, so we like to point you to other sources that deal with the topic far better than we ever could. It is crucial for us that our readers understand the hoax, because if one realises the reason for doing something terrible is a lie, then that something becomes invalid. It also alerts our readers to the fact that there is a mass of information presented on many forums such as this that is never reported in the mainstream press, which is further evidence that the entire GW/CC bandwagon is a sham being fostered by a global alliance of media, corrupt science and big business. We would like to say that our article titled Induced Cumulus has inspired others to question what they see. We can’t claim a direct link to this post by Tim Peake on the International Space Station, but we can rejoice in the fact that people are now questioning this phenomena.